These days there are a great number of Android poker rooms to choose from. A few years ago everyone jumped on the Hold’em bandwagon, and in the last couple years they have all climbed aboard the trend that is mobile gambling. 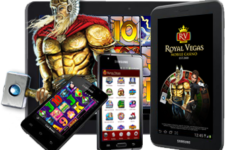 As a result, you can also browse dozens of top poker networks, all of which will work with your Android device, whether it’s a Samsung, HTC, Nexus or any other. The question is, where can you find the best Android poker rooms and how can you avoid the worst ones? There are a few poker rooms that will let you in if you use an Android device, but aren’t really worth the effort. These have been listed below. Bear in mind that this is our personal opinion and all of these sites are legitimate, so this is by no means a blacklist and you might think differently. UniBet: This poker network is similar to many others out there and we would put them in the same group. We love Unibet, we really do, but we don’t like their poker room. The software could use some work, compatibility needs to be tweaked and there are some other niggling issues. The graphics are cool, but there are very few games even during peak times. Party Poker: This used to be the biggest and the best poker network in the world but it gradually lost its place in the market. It began to be enveloped by newer network that offered players a little more, and throughout this it just never improved its service. It looks the same today as it always did, and that’s just not good enough. PKR: This is a poker room that we have happily posted as one of the best on occasion, but there are issues and they don’t work hard to resolve it. Many of the issues concern compatibility. It used to work great on Mac, and then had all kinds of problems, and we are noticing similar issues with Android. What’s more, it can be very slow and that’s just not acceptable in this day and age. PokerStars: This is by far the biggest poker network in the world and it is run by Amaya, a proud Canadian company and the richest gambling company in the world. There is a lot to like about this network. Firstly, it is available on Android. Secondly, you can choose from many poker variants and a huge selection of games. Thirdly, PokerStars is also home to features like Zoom Poker and Spin and Win, as well as grand events like the Online Series of Poker and the Spring Series of Poker. Full Tilt Poker: This is a little more graphically advanced than PokerStars. It is owned by the company and they have steadily been morphing into each other, but for now there are some major differences and it is a great poker room to play on your mobile device. Because of the improvements to the aesthetic, you will get more of it if you have a device with a big screen and a high pixel count. That’s why it looks so good and works so well on Apple iOS devices, because the Retina Display really brings it to life. 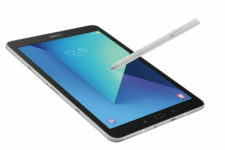 But there are just as many top-of-the-line tablets out there that use the Android operating system.